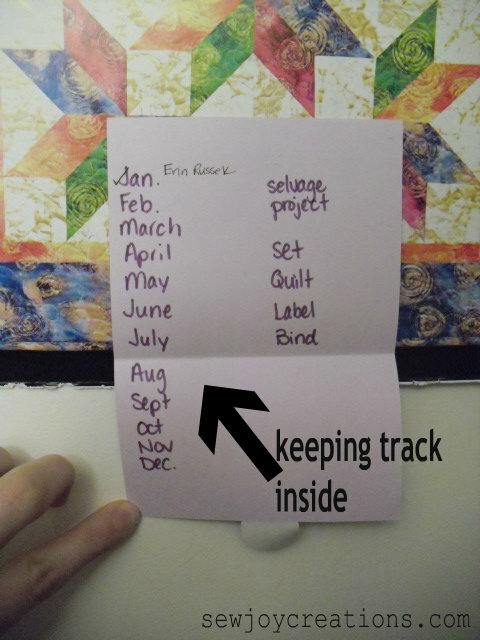 I came up with this idea for a way to keep track of what I'm working on. I was inspired by Jamie Ridler's board here Getting Things Done Creatively. I'm also inspired by Pat Sloan revving up her UFO Busting Tips and Techniques again. 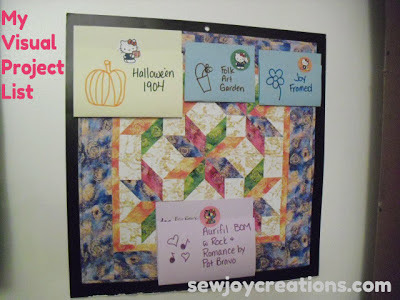 I used a quilt page from an old quilt calendar as my board. I made little cards, folded, with the name of the project on the outside. Inside each project card, I have written down what things I still need to get and what steps are left to do for the project. Now instead of having to keep a mental list of what I should be finishing, or searching for a list of my priorities, OR jumping on board to start something new!! !, I can look at this board and SEE what I'm committed to completing! 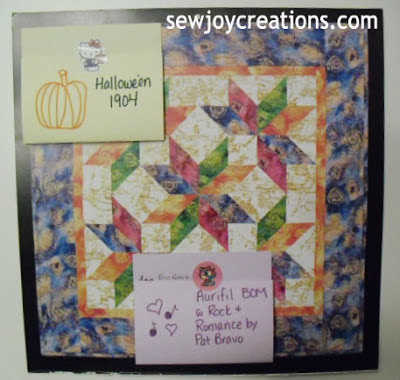 There are a few more cards on the board now - some are gifts so I don't want to reveal them yet! Let's just say I have a pretty plate of possibilities in front of me for the next few months. 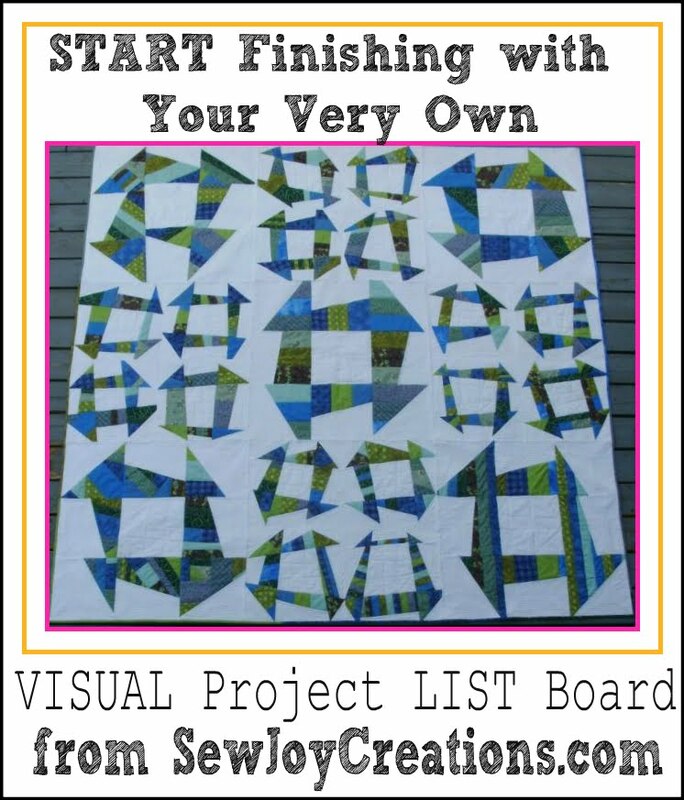 How to Make a Visual Project List Board for you! Follow this link - sign up to my newsletter - and receive your pdf to start visually organizing your to make list! Cute idea Sarah! I might just have to steal that! Can I assume that a gift for your soon-to-be nephew is one of the cards you can't reveal yet :)? I like your idea and your stickers. I love that idea. I am definitely copying it. Thanks for the inspiration. That's a great idea.... certainly prettier than the printed list I have taped to my wall!